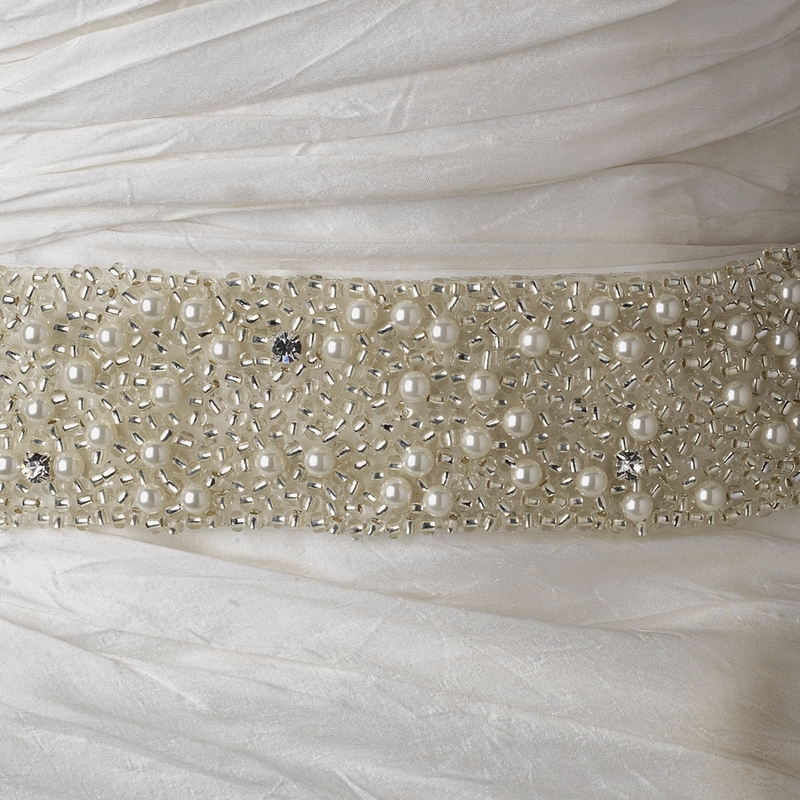 A lovely bridal sash belt that is covered by glass beads and beautiful faux pearls tightly placed together with some scattered clear rhinestones. 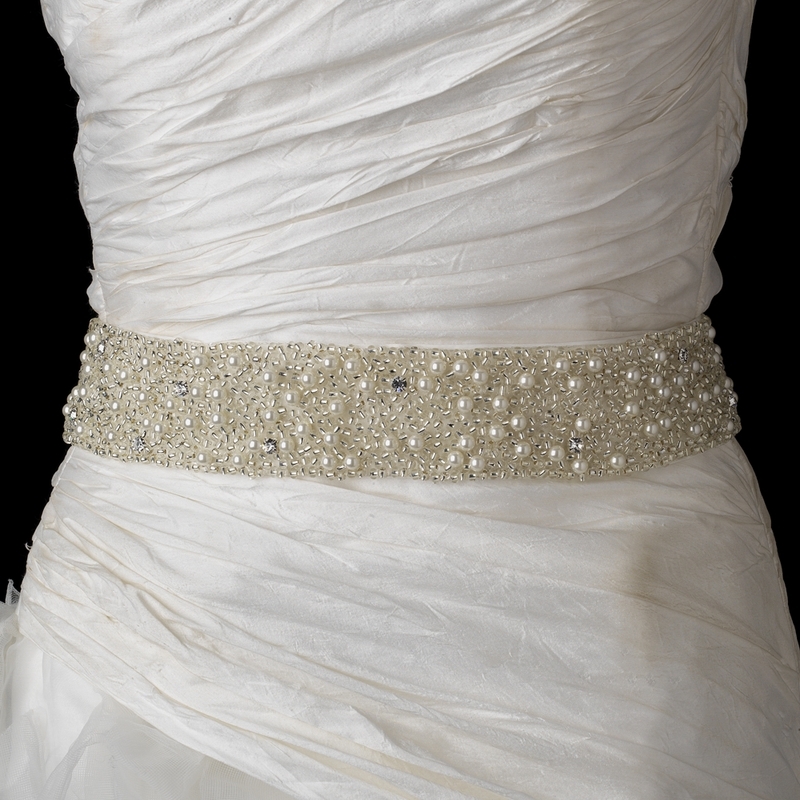 This belt creates a beautiful finishing touch to your gown and will accentuate the waistline creating a more glamorous look and sleek figure. 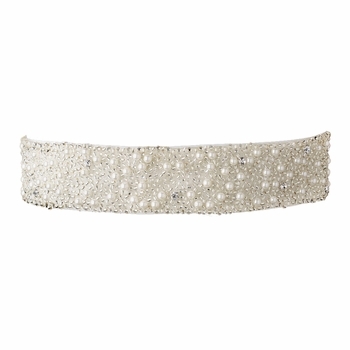 Perfect with ivory and off white gowns.